The full scope of animal injuries and deaths in entertainment productions cannot be known. But in multiple cases examined by THR, the AHA has not lived up to its professed role as stalwart defenders of animals - who, unlike their human counterparts, didn't themselves sign up for such work. While the four horse deaths on HBO's Luck made headlines last year, there are many extraordinary incidents that never bubble up to make news. Accusations against the AHA include a tiger near-drowning during the filming of "The Life of Pi," 27 animals dying during the filming of "The Hobbit," and scores of dead marine life during the filming of an explosion in the latest "Pirates of the Caribbean" movie. 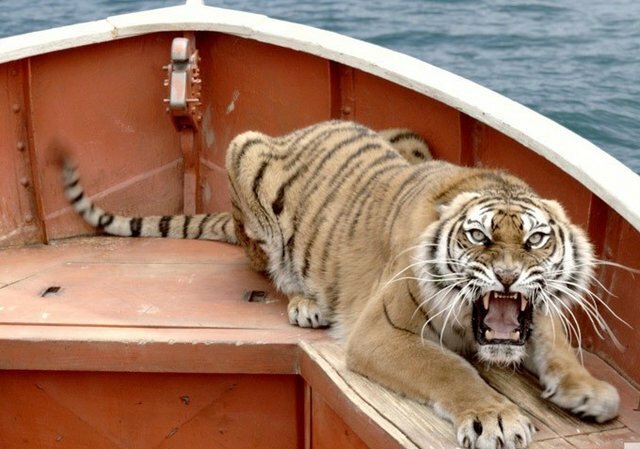 In one email allegedly from an AHA monitor on "Life of Pi," she wrote of King, the tiger used in the film: "This one take with him just went really bad and he got lost trying to swim to the side . . . Damn near drowned." Later, according to the email, she wrote: "I have downplayed the f- out of it."